There are plenty of reasons to come to Naples, there is so much to see and do regardless of whether you are travelling alone, with family or part of a group. We don't aim to sway your mind on what to do while in Naples but maybe offer up some advice on what is available to do there. Just like in other cities, there are plenty of good and bad places to visit and if this is your initial time of visiting Naples or if you have paid a visit before, enjoying yourself and making the most of your time there is paramount. It can be wise to set in your mind what you want to do and see, and Naples has plenty of interesting experiences that will create many memories. These are a simple starting point if you have a good travel guide and map you can delve further and if you have long enough in Naples. You will discover other enjoyable locations and attractions about the Naples area of Italy. Naples is a fairly simple location to get around, once you have your bearings and understand the layout with the help of some local landmarks you should be able to navigate around with ease. You can cover a lot of the city on foot but ensure not to venture into unknown territory at night. If you wish to cover larger distances across Naples there are a number of transport options. 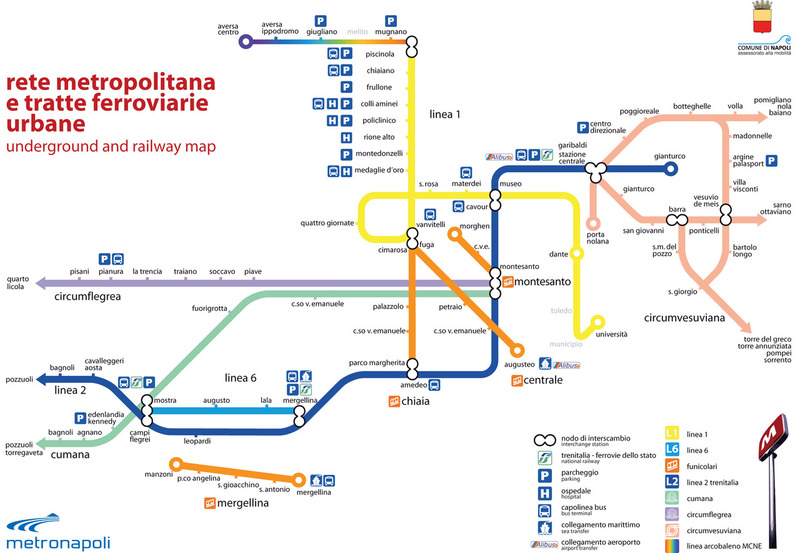 Naples has a line line Metro System that contains 22 stations. Lines are number 1 and 6. There is a city wide bus system where passes can be bought to include multiple trips. If you are in a larger party, it might be better to use a Rental Car in Naples, there is also the alternative to use Naples Taxis, but be aware of slow moving traffic at rush hour. What ever method you use to explore Naples ensure you see as much of it as you can. If you are staying in Naples for longer than one night you'll need a place to rest. Naples has a wide range of places to bed down these includes high end, deluxed locations to lower end hotels, bed and breakfasts and hostels. If you are a business traveller ensure the hotel you decide to select has suitable facilities and is in the right area for your meetings as the traffic in Naples can result in problems at certain times of the day. If you are looking for a prestigious hotel to stay at there is a selection of top independent and chain hotels. Naples also offers an excellent array of lower star hotel options that provide basic but suitable facilities for travellers. If you don't have a large budget there is a number of hostels and guest houses in the city which are a good place to rest your head. Whatever accommodation type you select in Naples ensure you take time to seek out deals that are available on countless travel web sites, often these are out of season or when a home sports team isn't playing a game. There are endless places to eat in Naples, the place you dine at will reflect your tastes and budget. There are a high number of great low cost venues that provide Italian meals and don't break the bank. If the restaurant type you are looking for is of the high end these exist in numbers, but be sure to have placed a prior booking and ensure that your follow the dress code if there is one. If you want fast food there is regular names like Subway or McDonalds exist in the city, but if you are on the look out for something more authentic why not ask a local and see where they recommend. A fundamental part of enjoying a city is to try it's local food There is a wide variety of places to dine in Naples. whether that is a café, a fine restaurant or food from a street vendor. Check out local guides and press for offers and try something that you have never had before. When coming to terms with a new location like Naples it is essential to have to facts. Here are a number of facts that could be of help to you. 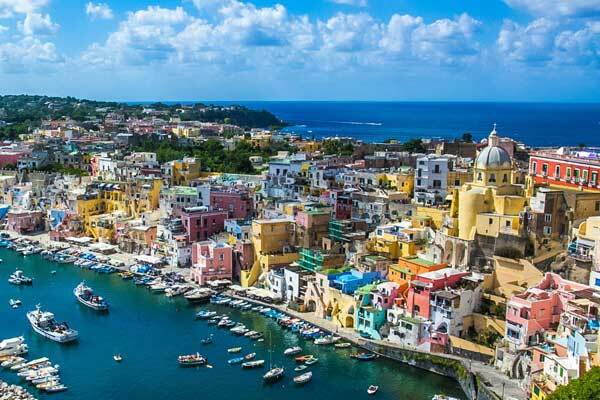 Like any city Naples has it's pros and cons, it is essential to have your wits about you and you will be fine and have great memories of this fantastic Italian location. Before you set off, buy a good guide book and know where you are going, try not to make it obvious you are a visitor to the city by flaunting expensive devices around and don't carry valuables or excessive amounts of cash on your person. Stick to well populated areas after dark and if you loose your way, hail a cab. Just because you are on vacation, don't switch off completely. Bear this is mind and you will have a great time in Naples. On the whole Italy is a welcoming place with great locals. Conducting some basic research is very valuable and if you know a city better, you will have a much better time there.